A major investor-owned utility located in Louisiana needed a new RRPR (Rapid Rise Pressure Relay) shutoff valve, including one spare valve for their 1967 vintage 100MVA GE Pittsfield transformer. 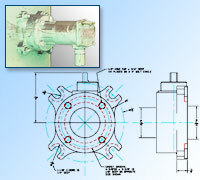 Our team of experts was able to source the exact dimensional and functional modern replacement valve. We’re large enough to handle any power transformer project from start to finish, no matter the size, location, or complexity of the project. So, whatever your needs, contact one of our experienced staff. We're ready to help with your next power transformer project. If you are interested in used or rebuilt power transformers, we can provide them to you completely remanufactured, or reconditioned and tested in accordance with ANSI/NEMA standards. All complete with warranty. We also can offer transformer equipment to you on an as-is basis, subject to your inspection and field tests performed by an independent testing company. Power Asset Recovery Corporation has the ability to supply all your power transformer parts requirements. 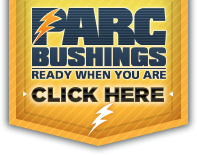 Whether you are looking for fans, gauges, pumps, bushings, or lightning and surge arrestors, we’re sure to have what you need when you need it. 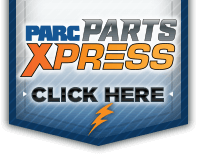 Our extensive inventory of parts and accessories for power transformers is available 24/7.